"Today WUT offers an effervescent intellectual environment which stimulates individual achievements, teamwork and interdisciplinarity both to those who want to provide knowledge, innovate or perform in the field of research and artistic creativity and to those who are looking forward to joining our bachelor’s, master’s, doctoral or postdoctoral programs. The WUT charter, the advanced scientific research, and education are the components of our university’s mission.I welcome you to the West University of Timișoara if you want to be part of our project and I invite you to join our effort to consolidate an institution which has the mission statement: integrity, dynamism, and academic vision". Rector, Professor Marilen PIRTEA, Ph. 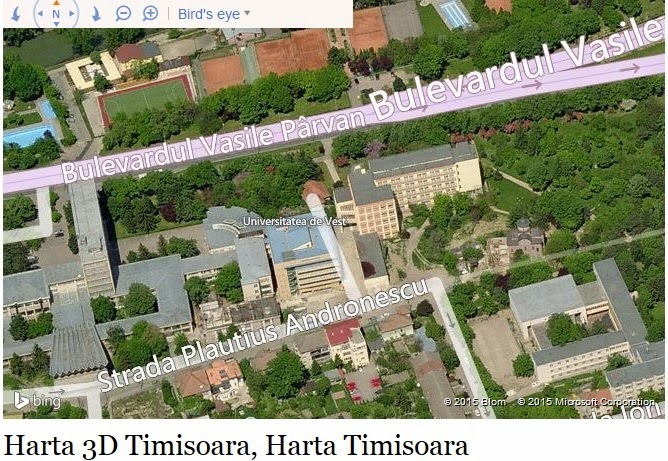 D.
The first record of the city of Timisoara, built on the site of an ancient Roman fortress called Castrum Regium Themes, dates back to 1212. Over the years, Timisoara, the largest city in western Romania, has been influenced by many cultures. The Romans used it as an important crossroads fortress until the Tatars destroyed it in the 13th century. Conquered by Turkish armies in 1552, Timisoara remained under their protection until 1718 when the region of Banat came under Austrian rule for two centuries. Timisoara later became a vital commercial and manufacturing town. Turks, Austrians, Germans and Serbs all left their mark and their influence can be seen in neighborhoods throughout the city even today. Johnny Weissmuller, Hollywood's original Tarzan, was born here. Free admission - The Memorial Museum exhibits uniforms of Romanian militia and military, written testimonies of witnesses and participants in the Revolution, official and personal documents, an audio-visual archive, a library and a collection of newspapers. A video charting the rise and fall of Nicolae and Elena Ceausescu may be shown on request. The airport is located six miles from the city centre. Taxis are readily available outside the arrivals area. Bus #26 offers service to the city centre, with stops at Piata Badea Cartan and Hotel Continental. There are daily trains from/to Budapest (approximate journey time - 5 hours), and Vienna (approximate journey time - 8 ½ hours). Trains to other western European cities run via Budapest. BUCURESTI, Romania's largest city and capital,is today a bustling metropolis (which in the 1900s earned its nickname of "Little Paris") . 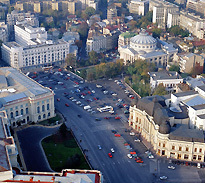 The University of Bucharest offers numerous study programs, from BA to PhD, as well as lifelong learning programs. At the same time, it constantly collaborates with more than 100 prestigious universities from 40 different countries. All programs are accredited or authorized. The degrees granted by the University of Bucharest are recognized in most countries of the world. The University of Bucharest is a comprehensive university, oriented towards natural sciences, social sciences and humanities. The number of faculties is almost equal on each of these domains. The strategy of the University of Bucharest emphasizes international co-operation as an essential part of the University’s core activities.